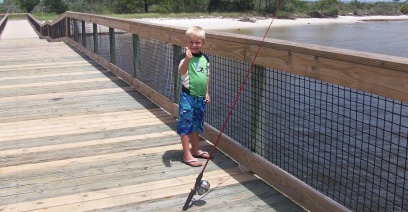 12th Annual Kid’s Fishing Tournament -Free to all kids 15 years and under. Held in May at Wooley Park, in Panacea. Prizes are awarded to all participants. Location: St George Island – Aligator Point – Indian Pass – Cape San Blas. It is land based shark fishing only. No boats or motors! $50 early registration fee and $60 for late registration. 2-4 members per team. Call Dale Taylor 229-326-5323 or Daniel White 850-653-5714.